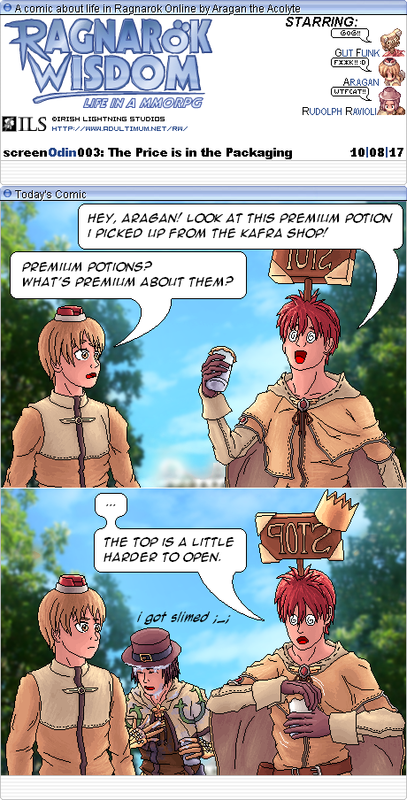 In case you recognize this comic: Yes, I am that Aragan. The Warp Portal GMs can probably vouch for me, since I've had this account since forever. Edited by TrevMUN, 21 April 2019 - 08:11 PM. The dust is real. Wb! Oh awesome! Glad to see you back! So it turns out the issue with ComicCMS is going to be harder to fix than I first thought. My webhost disabled certain functions critical to operating it ... and so while outwardly the site is still usable, I can't edit or update content via the CMS. It's been suggested to me that I use replacements like Grawlix, but that will take time to do. In the meantime, I'll keep posting updates here as well as on the official Ragnarok Wisdom twitter account. That's 100% certified authentic Lenz, by the way. Including apparent inebriation from what-possibly-might-be-a-white-potion. It's good to be back! Gut Funk told me a lot about people here on the forums wondering what happened to me in the wake of 2013's events. I'm gonna need some bigger air filters! Holy crap man. I used to keep up with your webcomic pretty religiously back in the day. I'm glad to see you're back making new things! I felt pretty bad about ever having to stop! My life derailed hard for a while. 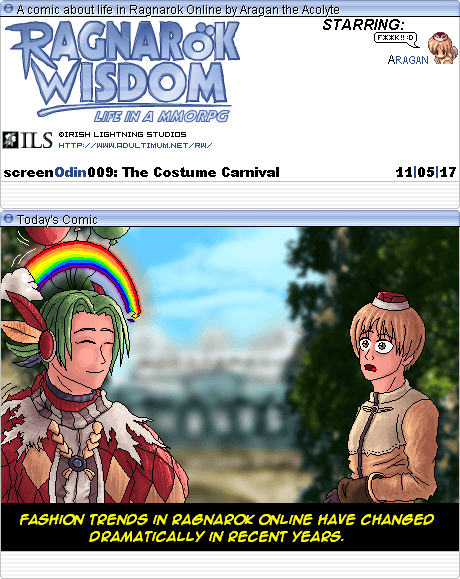 Is that the legendary GutFunk of Ragnarok Wisdom lore I see wandering the forums? I live to serve! Or service people's funny bones, as the case may be. Tokens of Siegfried are my jam. Real talk though, if it wasn't for my grandparents, I would have been dead by now. I told you guys I had something up my sleeve! Just think, you are Gut Funk's Funky Castle once again! I know this feeling. Glad you made it out alive and hopefully well. Did a quick comic for my birthday! Slowly clawing my way back from the brink. I just got access to health insurance again, so soon I'll find out if I remain cancer-free. Here's another one just before the night closes! Stranger things have happened to me! Another one to close out the week! Today has not been a good day. A very unpleasant, stressful, and costly incident kept me from finishing the shading on this comic. Rather than wait to upload it finished, I decided to just get it out the door tonight and finish it later. I'll make an edit once the finished version is uploaded. Hope everyone had a happy Halloween, though! Feedback like this keeps me going! Edited by TrevMUN, 31 October 2017 - 09:32 PM. Keep it up! Love seeing these. Anyway! 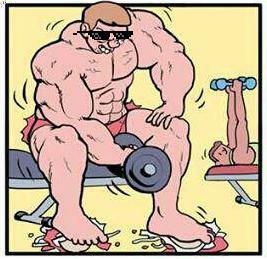 If you like today's comic, find Gut Funk and give him a big ol' zot. This was his idea! I had a Charlie Brown kind of Halloween. The month was kind of like that in general. Got another one for the week! This has happened to me several times of late. First time literally doubled the amount of zeny I had, most of which had came from commissions I did involving custom RO-themed CFC cards back in 2005!